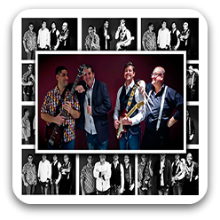 Brisbane Band 670 – These guys are one of Queensland’s premier cover shows, they established in 2012, featuring legendary & timeless Aussie Rock & Pop hits from the 70’s & 80’s. With shows that are energetic and colourful, they’ll keep everyone on the dance floor till the very last song, regardless whether it is a public show, corporate function, wedding, birthday or private celebration. The band members are all dedicated and passionate about creating a real music experience that the audience can easily relate to. The boys are all great singers in their own right and their voices blend together exquisitely to deliver authentic multi-part vocal harmonies, without digital enhancements or backing tracks. The songs they play are all performed in original artist keys which is a testament to their talent and good showmanship. What they deliver is a good mix of emotive ballads, featuring rich vocal harmonies, to full-blown, in your face rock that only a tight, well seasoned 4-piece band can deliver. Can perform as a: 4 Piece Band and are available to perform in Brisbane, Gold Coast, Sunshine Coast and Surrounding Areas. We saw these guys a couple of weeks ago, they really blew us away, especially when they did Jesse’s Girl. It was a great show. Keep it up boys!! We got these guys to play my husbands 50th birthday party they played heaps of great 80s music especially home grown Aussie stuff. I look forward to getting them back for my 50th. I’ve seen this band play at a venue where I work a few times now and I gotta say they always do an amazing job entertaining the crowd. What I really love about them is how well they play the Aussie classics, it’s like hearing the originals!! These guys are absolutely awesome and entertained the crowd all night long. They managed to get most guests up on the dance floor. I will be rebooking them in the near future as they will guarantee a fantastic night.